Dr Sarah Cant, Director of Policy and Campaigns at Prostate Cancer UK, said: “There are over 19,000 Scottish men living with prostate cancer, many of whom have to make difficult treatment choices or cope with tough side effects. It is vital that every man with prostate cancer has access to the world class information, care and support he needs and deserves if we are to help men have a better quality of life in the future. 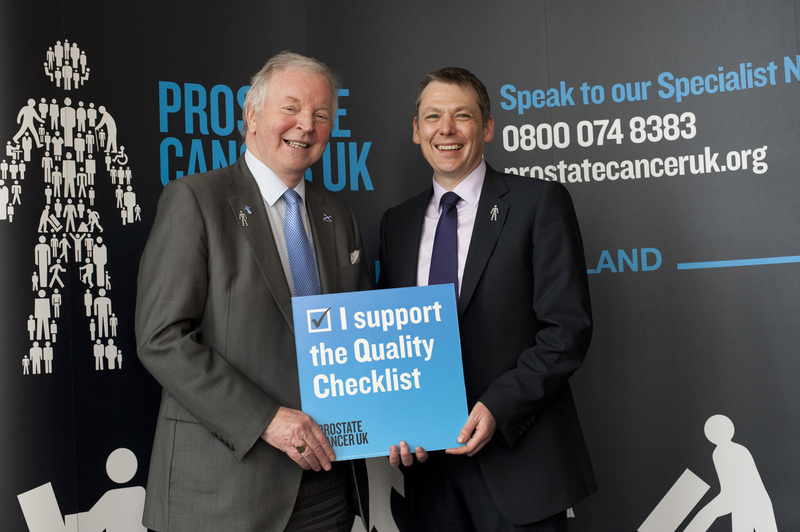 To view the Quality Checklist please visit www.prostatecanceruk.org/qualitycare.